For other people named Pierre Berton, see Pierre Berton (disambiguation). Pierre Francis de Marigny Berton CC OOnt (July 12, 1920 – November 30, 2004) was a noted Canadian author of non-fiction, especially Canadiana and Canadian history, and was a television personality and journalist. He won many honours and awards for his books. An accomplished storyteller, Berton was one of Canada's most prolific and popular authors. He wrote on popular culture, Canadian history, critiques of mainstream religion, anthologies, children's books and historical works for youth. He was also a founder of the Writers' Trust of Canada, a non-profit literary organization that seeks to encourage Canada's writing community. Berton's 50 books became popular in part due to his light and fast-paced writing style. Berton's family moved to Victoria, British Columbia in 1932. At age 12 he joined the Scout Movement and later wrote that "The Scout Movement was the making of me". He credited Scouting with keeping him from becoming a juvenile delinquent. He started his journalism career in scouting and later wrote that "the first newspaper I was ever associated with was a weekly typewritten publication issued by the Seagull Patrol of St. Mary’s Troop." He remained in scouting for seven years and wrote about his experiences in an article titled "My Love Affair with the Scout Movement". Like his father, Pierre Berton worked in Klondike mining camps during his years as a history major at the University of British Columbia, where he also worked on the student paper The Ubyssey. He spent his early newspaper career in Vancouver, where at 21 he was the youngest city editor on any Canadian daily, replacing editorial staff that had been called up during the Second World War. Berton himself was conscripted into the Canadian Army under the National Resources Mobilization Act in 1942 and attended basic training in British Columbia, nominally as a reinforcement soldier intended for The Seaforth Highlanders of Canada. He elected to "go Active" (the euphemism for volunteering for overseas service) and his aptitude was such that he was appointed Lance Corporal and attended NCO school, and became a basic training instructor in the rank of corporal. Due to a background in university Canadian Officers' Training Corps (COTC) and inspired by other citizen-soldiers who had been commissioned, he sought training as an officer. In 1947 he went on an expedition to the Nahanni River with pilot Russ Baker. Berton's account for the Vancouver Sun was picked up by International News Service, making him a noted adventure-travel writer. Berton moved to Toronto in 1947. At the age of 31 he was named managing editor of Maclean's. In 1957, he became a key member of the CBC's public affairs flagship program, Close-Up, and a permanent panelist on the popular television show Front Page Challenge. That same year, he also narrated the Academy Award-nominated National Film Board of Canada documentary City of Gold, exploring life in his hometown of Dawson City during the Klondike Gold Rush. He then released an album in conjunction with Folkways Records, entitled The Story of the Klondike: Stampede for Gold – The Golden Trail. Berton joined the Toronto Star as associate editor of the Star Weekly and columnist for the daily paper in 1958, leaving in 1962 to commence The Pierre Berton Show, which ran until 1973. On this show in 1971 Berton interviewed Bruce Lee in what was to be the famous martial artist's only surviving television interview. Berton's television career included spots as host and writer on My Country, The Great Debate, Heritage Theatre, The Secret of My Success and The National Dream. From 1966 to 1984, Berton and long-time collaborator Charles Templeton made the daily syndicated radio debate show Dialogue. Berton served as the Chancellor of Yukon College and, along with numerous honorary degrees, received over 30 literary awards such as the Governor General's Award for Creative Non-Fiction (three times), the Stephen Leacock Medal of Humour, and the Gabrielle Léger Award for Lifetime Achievement in Heritage Conservation. 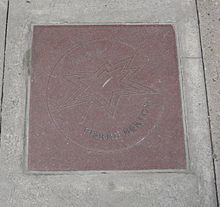 He is a member of Canada's Walk of Fame, having been inducted in 1998. In The Greatest Canadian project, he was voted No. 31 in the list of great Canadians. Berton was named Toronto Humanist of the Year 2003 by the Humanist Association of Toronto. The honour is presented by H.A.T. to men and women who, in their actions and creative endeavours, exemplify the principles of Humanism: a commitment to reason, compassion, ethics and human dignity. He was named a Companion of the Order of Canada, Canada's highest decoration, and was also a member of the Order of Ontario. In 2004, Berton published his 50th book, Prisoners of the North, after which he announced in an interview with CanWest News Service that he was retiring from writing. On October 17, 2004, the $12.6 million CAD Pierre Berton Resource Library, named in his honour, was opened in Vaughan, Ontario. He had lived in nearby Kleinburg, Ontario, for about 50 years. Berton attracted attention in October 2004 by discussing his 40 years of recreational use of marijuana on two CBC Television programs, Play and Rick Mercer Report. On the latter show he gave a "celebrity tip" on how to roll a joint. Berton died at Sunnybrook Hospital in Toronto, reportedly of heart failure, at the age of 84 on November 30, 2004. His cremated remains were scattered at his home in Kleinburg. Established in 1994, the Pierre Berton Award is presented annually by Canada's National History Society for distinguished achievement in presenting Canadian history in an informative and engaging manner. Berton was the first recipient and agreed to lend his name to future awards. His childhood home in Dawson City, Yukon, now called Berton House, is currently used as a retreat for professional Canadian writers. Established authors apply for a three-month-long subsidized residency, adding to the area's literary community with events such as local public readings. Previously, the Berton House Writers' Retreat was administered by the Berton House Writers' Retreat Society and Elsa Franklin, Pierre Berton's long-time editor and agent. In October 2007, the deed to Berton House was passed to the Writers' Trust of Canada; the literary organization now oversees the program as part of its roster of literary support. A school in Vaughan, Ontario was named for Pierre Berton in the York Region District School Board in September 2011. The Berton family visited and had an official opening of the school in front of the students. Order of Canada, Officer, 1974. Queen Elizabeth II Silver Jubilee Medal 1977. 125th Anniversary of the Confederation of Canada Medal 1992. Queen Elizabeth II Golden Jubilee Medal 2002. Responsibility in Journalism presented by the Committee for Skeptical Inquiry (CSICOP), 1996. Most sources refer to fifty books and a series of twenty-two books for young people called “History for Young Canadians”. Having collected all but one of the 72 titles in my personal library I can attest that this is the complete list of all Berton’s written publications. All of Pierre Berton's writings, including finished books and articles as well as manuscripts, drafts, and research material are now held in the Pierre Berton fonds at the McMaster University Archives here. ^ Kelly, Tim (December 4, 2015). "Janet Walker Berton: a 'local hero'". yorkregion.com. ^ a b c d e f g h i Berton, Pierre (1987). Starting Out, 1920–1947. Toronto: McClelland and Stewart. ISBN 0-7710-1342-6. ^ Parker, Janice (January 1, 2002). Craats, Rennay (ed.). Writers. Weigl Educational Publishers Limited. p. 42. ISBN 978-1-896990-90-3. Retrieved March 2, 2011. ^ Brettell, Caroline (May 1999). Writing against the wind: a mother's life history. Rowman & Littlefield. p. 27. ISBN 978-0-8420-2783-0. Retrieved March 2, 2011. ^ a b c d "Pierre Berton 1920–2004". CBC News Online. The Canadian Broadcasting Corporation. November 30, 2004. Archived from the original on March 2, 2011. Retrieved May 22, 2010. ^ Colombo, John Robert (1984). Canadian literary landmarks. Dundurn Press Ltd. p. 287. ISBN 978-0-88882-073-0. Retrieved March 2, 2011. ^ "The Story of the Klondike: Stampede for Gold – The Golden Trail – Pierre Berton". Smithsonian Folkways. Archived from the original on March 2, 2011. ^ Wilkes, Jim (October 18, 2004). "Berton's name adorns new Vaughan library". Toronto Star. Toronto: Torstar. p. B.04. Retrieved May 22, 2010. ^ "Pierre Berton Resource Library Wins Another Prestigious Award" (PDF). Vaughan Public Libraries. January 31, 2007. Archived from the original (PDF) on January 1, 2011. Retrieved May 24, 2010. ^ "Pierre Berton: the writer at home". CBC.ca. March 29, 1987. Archived from the original on March 3, 2011. ^ "RMR: Celebrity Tip with Pierre Berton". YouTube. October 18, 2004. Retrieved November 1, 2012. ^ "Pierre Berton's celebrity toking tips". CBCNews Arts & Entertainment. The Canadian Broadcasting Corporation. October 15, 2004. Retrieved May 22, 2010. ^ "Celebrity Tip with Pierre Berton". The Rick Mercer Report. The Canadian Broadcasting Corporation. October 18, 2004. Retrieved May 22, 2010. 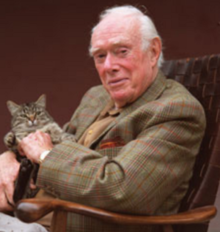 ^ Cathryn Atkinson, 'Obituary: Pierre Berton', The Guardian, December 7, 2004, Pg. 27. ^ "Pierre Berton Writers' Retreat". Bertonhouse.ca. Retrieved August 15, 2012. ^ "Past Honorary Degree Recipients – University of Prince Edward Island – UPEI". Upei.ca. Retrieved December 2, 2017. ^ "Honorary Degree Recipients – University Secretariat". secretariat.info.yorku.ca. Retrieved December 2, 2017. ^ "Wayback Machine" (PDF). December 8, 2015. Archived from the original (PDF) on December 8, 2015. ^ "Wayback Machine" (PDF). August 8, 2014. Archived from the original (PDF) on August 8, 2014. ^ "University of Victoria -Honorary degree recipients – University of Victoria". Uvic.ca. Retrieved December 2, 2017. ^ "McMaster University Honorary Degree Recipients (Chronological) : 1892–Present" (PDF). Mcmaster.ca. Retrieved December 10, 2017. ^ "Under Construction pierreberton.com". Pierreberton.com. Retrieved December 2, 2017. ^ Bennett, Pete (July 19, 2016). "Royal Military College of Canada Honorary Degree Recipients". Rmcc-cmrc.ca. Retrieved December 2, 2017. ^ "1980–1989 – UA Journey". Alaska.edu. Retrieved December 2, 2017. ^ "UBC Archives – Honorary Degree Citations 1981–1988". Library.ubc.ca. Retrieved December 2, 2017. ^ "1980 – 1989 – Secretariat". Uwaterloo.ca. May 22, 2012. Retrieved December 2, 2017. ^ "The University of Western Ontario Honorary Degrees Awarded, 1881 – present" (PDF). Uwo.ca. Retrieved December 10, 2017. ^ Alex Erasmi. "Pierre Berton, McMaster libraries". Library.mcmaster.ca. Retrieved November 1, 2012.